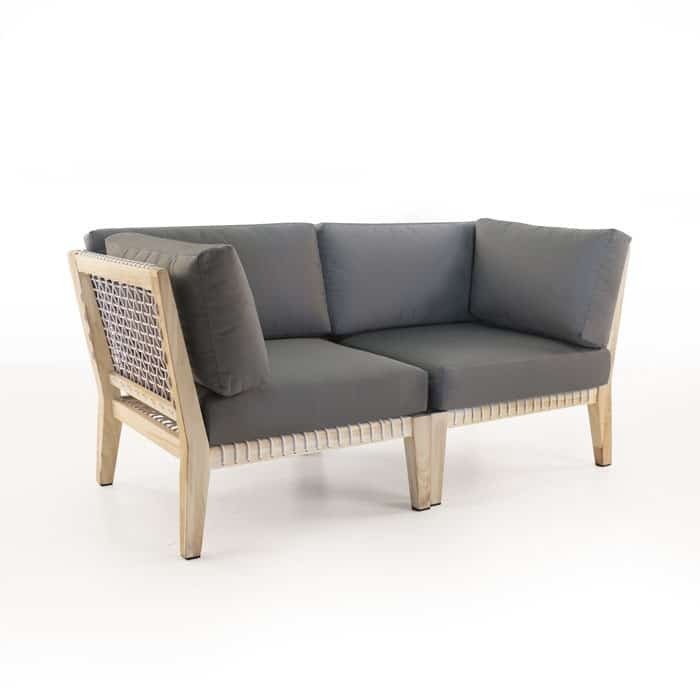 The Bay corner is a brilliant teak outdoor chair that functions as a standalone chair for tight spaces, or as a part of a beautiful sectional collection. 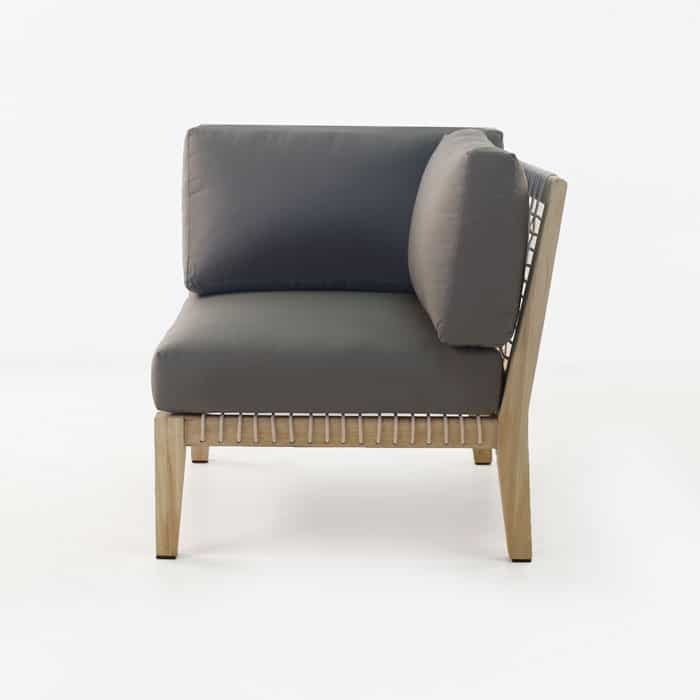 This chair has two angled back seating surfaces that form a corner, and comes with three cushions as shown. 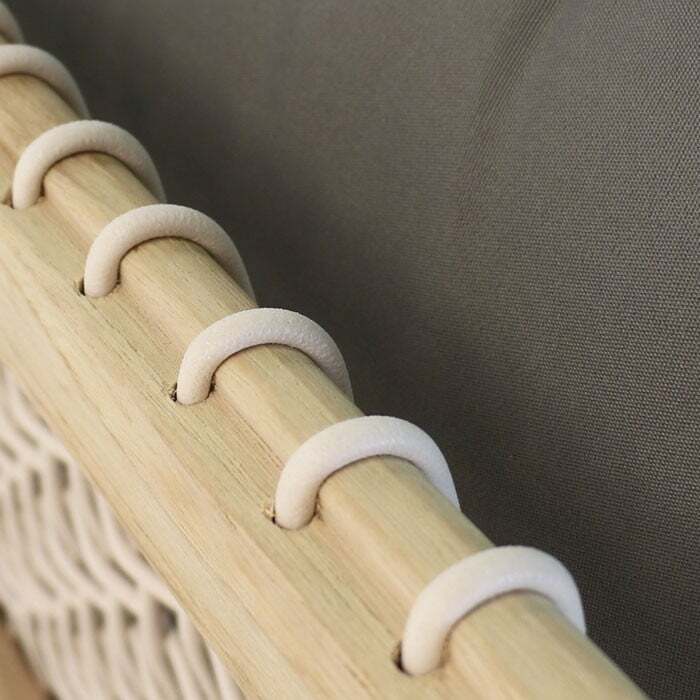 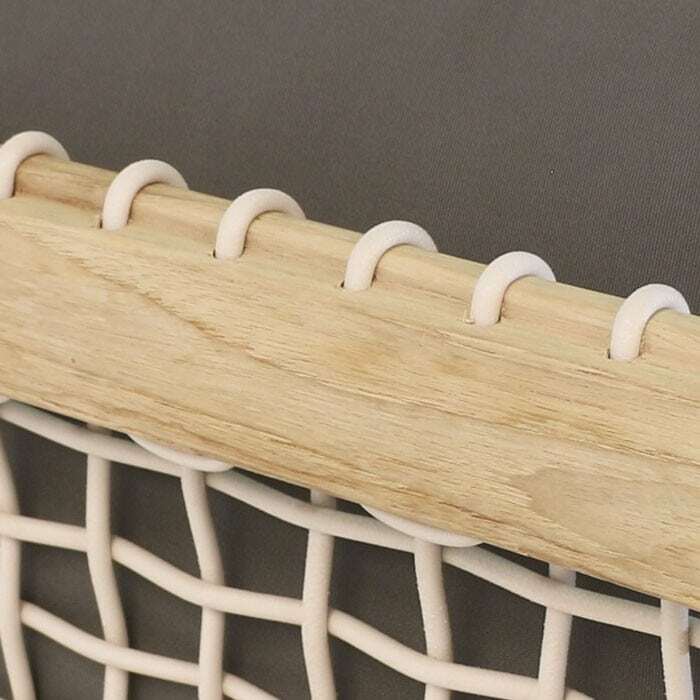 The seating surface is unique in our portfolio because it utilizes an innovative new polyethylene rope that serves as the underlayment of the seating area. 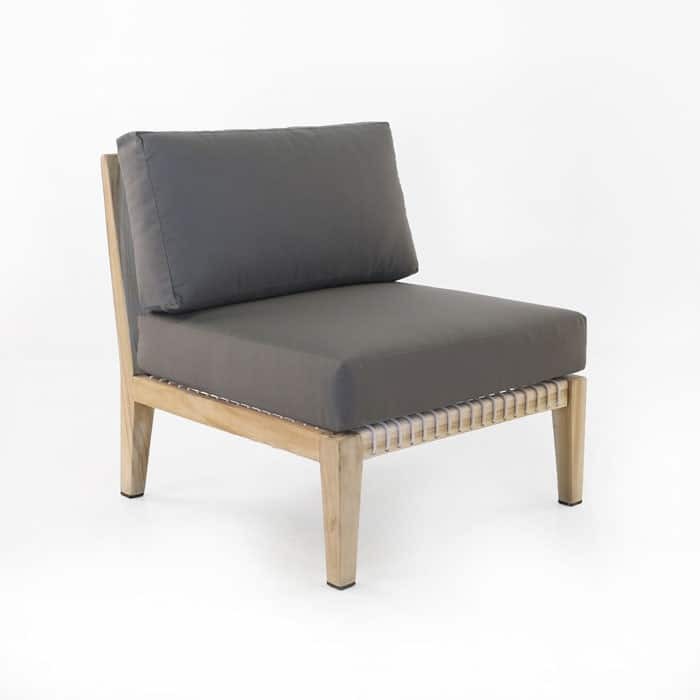 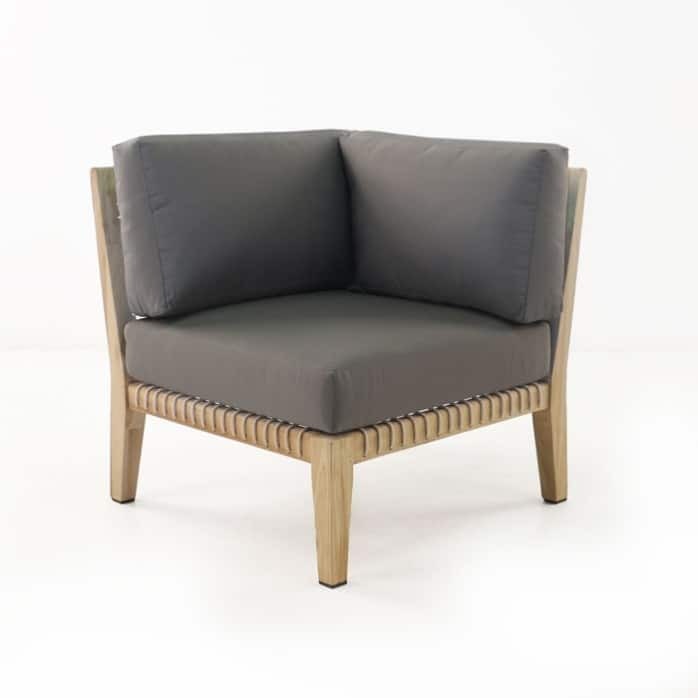 The Corner chair includes a seat cushion and two back cushions as shown which utilize the high-end Sunbrella fabric. 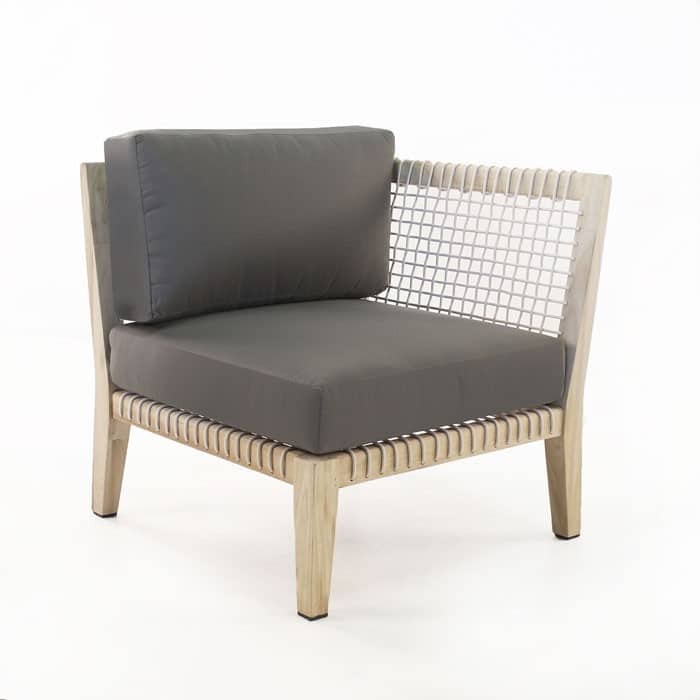 This unique c teak outdoor chair can stand alone or be used in conjunction with the Bay ottoman and Bay center chair to form a beautiful L-shaped Sectional for tight spaces. 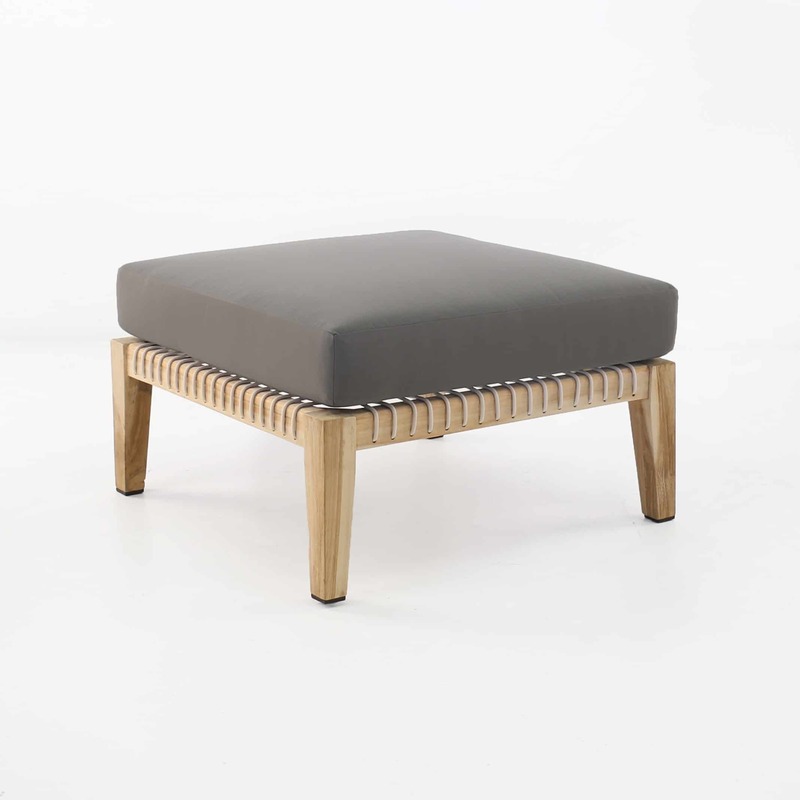 Either way, the quality of this piece is exceptional and the looks match the quality.